This weekend, two of my friends turned 21 and had a fictional-character-themed birthday party. 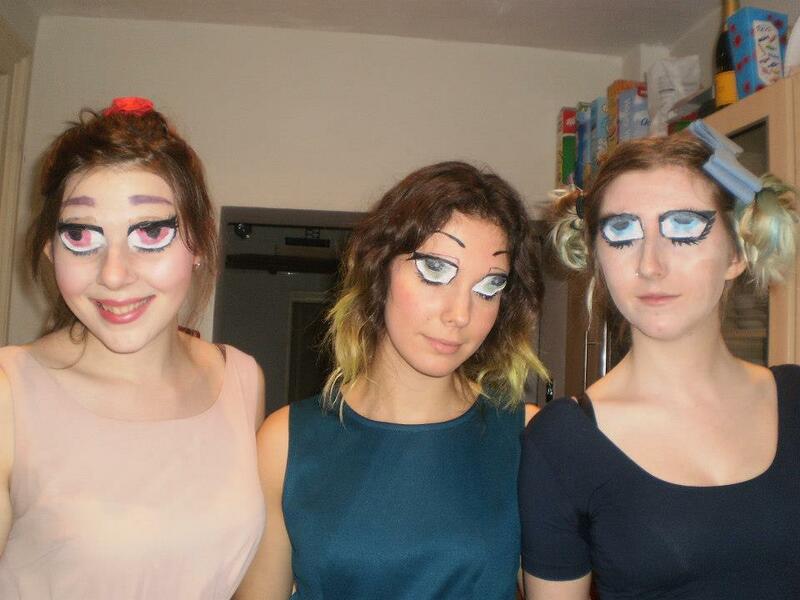 Me, Chelsea and Amy went as the BEST fictional characters… the powerpuff girls! 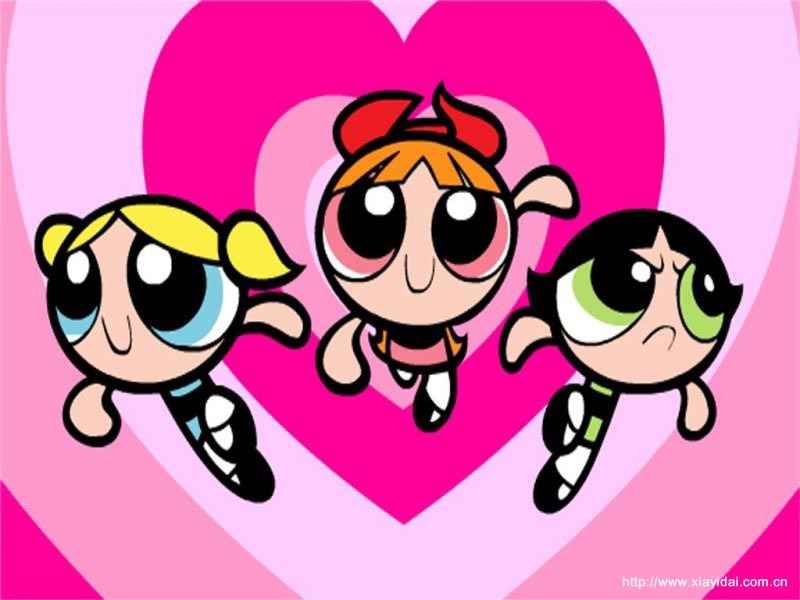 I am buttercup (the green one), who is the most badass powerpuff girl. When I was little I wanted to be her. To do the make-up, we followed this make-up tutorial which is amazing but so so creepy. It gives you anime – sized eyes when your eyes are closed. 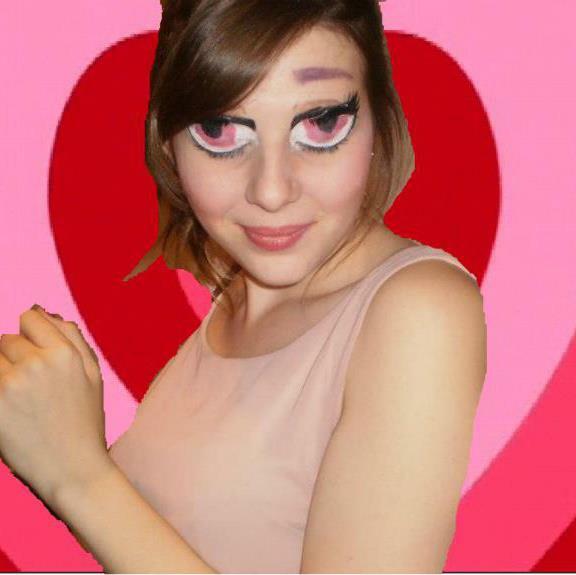 I think Chelsea’s eyes are the most realistic, maybe because the pink shows up really well. The rest of the costume was really simple: white tights, a green dress, and black shoes. I pinned the ends of my hair to my head at the top of my neck to make it look more like a bob. Did anyone else watch the powerpuff girls? Thank you Yes, I go to York Uni! I’m in my third year, and I don’t want to leave Feel free to email me if you want to ask anything about York! The Powerpuff Girls were the best! I miss that show. 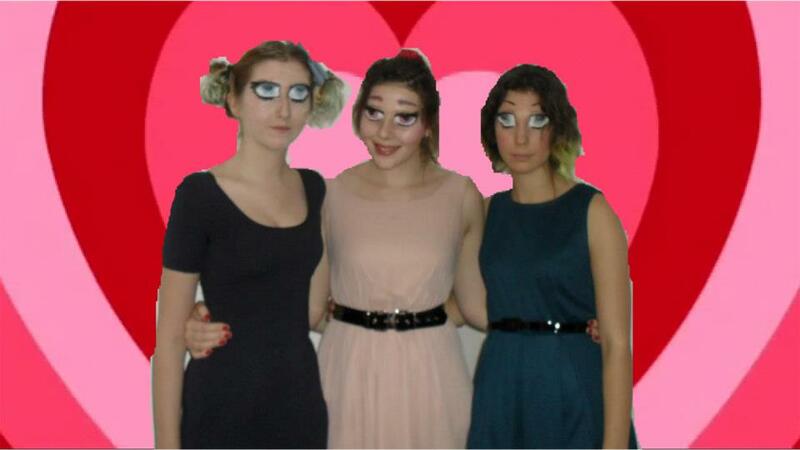 I loveeeeeee The Powerpuff Girls. I still have a picture of them hanging on my wall and I’m 21. Haha. Buttercup was my favorite! You guys did a great job. I did! and that is so very creepy and awesome. i watched it!! and i loved it and miss it! they’re so cute. 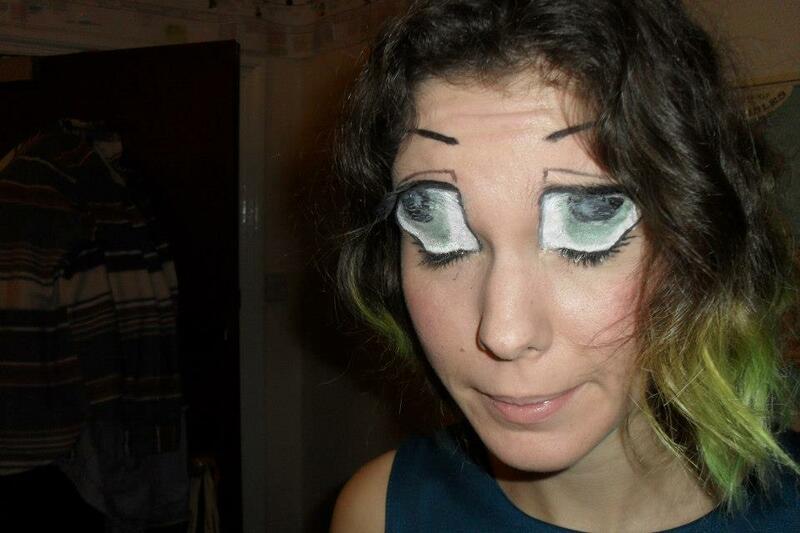 very cool eye makeup, wow! happy birthday to your friends!